Ward Engineering Company, Inc. is a full service mechanical contractor founded in 1946 in Louisville, Kentucky. Today, we are licensed in Southern Indiana and Kentucky. Our management team members have extensive experience in the industry, many of them with over 30 years of experience at Ward Engineering. Our areas of expertise include industrial and commercial mechanical projects, HVAC, process piping, sheet metal custom work, plumbing, and ASME Code projects. 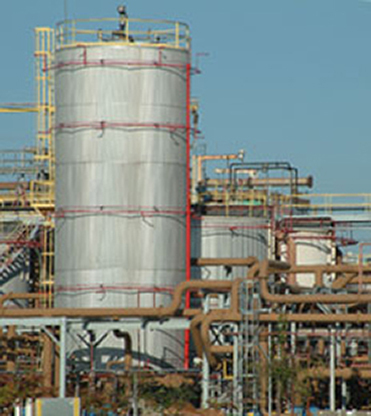 We specialize in the automotive and chemical industries, where our years of experience and our excellent safety record make us the preferred mechanical contractor for both large and small projects. Check out our Piping Division and Sheet Metal Division pages for more detailed descriptions. Ward Engineering is dedicated to quality and safety. We have a certified Quality Control Program which governs all of our ASME Code Piping, Vessel Repairs, and Alterations. Our welders are certified in many processes and we maintain licensing in many areas from boilers (Kentucky Boiler License #5) to HVAC to plumbing. Our veteran work force receives over 25 hours of safety instruction each year. Safety is a top priority for management, supervision, and workers. Our dedicated safety director has over 20 years of experience in the industry and we have the equipment and the resources needed to perform work in a safe and efficient manner.